Almost every teen gets acne at some point. According to the American Academy of Dermatology, nearly 100% of all teens have at least the occasional breakout. This interview with Bo Bosch answers common questions about teenage acne and diet. Learn about the importance of a proper diet in treating acne and how to change bad eating habits! Is acne usually a temporary situation for teens? Acne Vulgaris develops most of the time when teens hit puberty, every teenager will get a pimple, this is normal due to hormonal changes. However some teenagers do get acne and most of the time this is a temporary situation, but there are people who will not get rid of them after their teenage years, and then they have adult acne. Is there a way to prevent teenage acne? 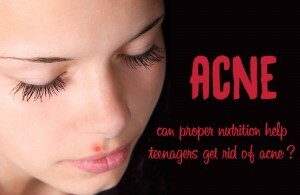 Teenage acne can sometimes be prevented but unfortunately not always. A healthy eating patron is very important. I advice my clients to eat a wholesome organic diet, which doesn’t contain any junk food, fried food, sugary foods, soda’s, or coffee. There are studies that show that diet does not play a role in either the cause or the treatment of acne. What’s your point of view? I think this is partly correct, if I have a client who’s eating and lifestyle patron is very healthy, then I always advice my client to have several diagnostic testing done, as acne is a form of toxins. Once I receive the diagnostic test results, I will then write a personalized treatment plan, which always includes a liver detox. What is a good acne diet for teenagers? A good eating habit is eating a wholesome diet which is high in fibre, increased water intake (pure filtered water 1.5 to 2 litre, depending on the constitution of the person). I personally never give standard diet advice to my clients. I give a personalized diet advice, which is directed at my client as every one is different and different causes can lead to acne. Eliminate Allergenic Foods; I have seen that acne can be caused by food allergies & intolerance. Eliminate diary products for a period of 6 weeks to see if the acne and inflammation is getting less. Eliminate foods that increase inflammation & acne: fats (hydrogenated & trans fats), fried foods, greasy foods, refined carbohydrates, chocolate, caffeine processed foods, sugar (white, brown, corn syrup etc), white bread, cakes and croissants. 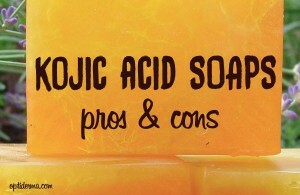 These products may cause flare ups in acne. Eat foods that support the liver to clear out toxins: drink every morning after waking up a glass of hot water with half a lemon (drink it with a straw) or instead of fresh lemon put in a piece of fresh ginger, this I call a “liver shower”. Bitter greens are also liver enhancing. How to help a teen to change bad eating habits? I discuss with the parents (most of the time the mother) about healthy ways of cooking for the whole family, as most of them don’t have time to cook separately for the child. I write for them a grocery list with products she or he can eat. I sit down with the teenager and explain them why it is so important to take the nutritional supplements and changing their eating habits. Teenagers are very open to do all this, as they can see after a couple of months the acne is getting less or is completely disappeared. Once they do try and eat “junk food” they have told me that the acne / inflammation has flared up again. 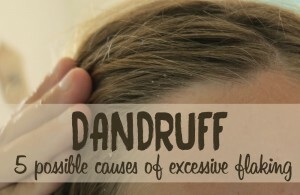 This is one of the best ways to make them stop, because nine out of ten times they get a flare up. Any other good tips to recommend for the treatment of acne? I do work with a skin specialist who is treating the acne on the outside, at is necessary to have good organic skin products, so that the skin doesn’t get congested. I also recommend to play sports so that the glands stay open and that the teenager will sweat the toxins out faster. How to get rid of zits in ear? Bo Bosch studied five years at The College of Naturopathic Medicine in London, where she received her bachelors degree in nutrition, naturopathic medicine and herbal medicine. She trained for three years at different clinics in London. In 2006 after an internship in the South of India with an ayurvedic doctor, she gained even more knowledge about ayurvedic medicine. 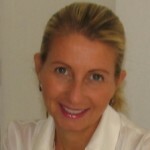 She founded BeauNu Nutrition & Lifestyle Company in 2009. To keep her knowledge up to date, she conducts regular research and also attends workshops, seminars and conferences to learn the latest developments that are coming into the field of nutrition, naturopathic medicine and herbal medicine. 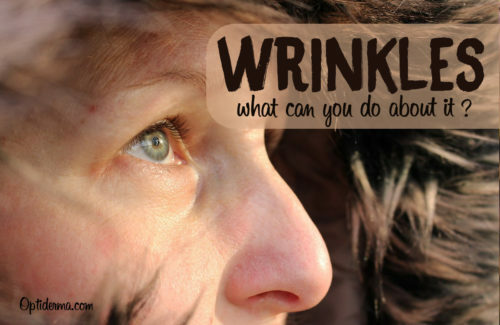 Wrinkles and skin aging: why use natural treatments...Acupuncture for skin: can acupuncture improve skin health?